At Pioneer Bank, we take great pride in the innovative products that we bring to our customers, and we are equally proud of the exceptional customer service we provide. Pioneer Bank would like to recognize the many talented and dedicated people who serve our customers well by repeatedly going the extra mile to make this company great. Thank you for always striving to be the best at what you do. 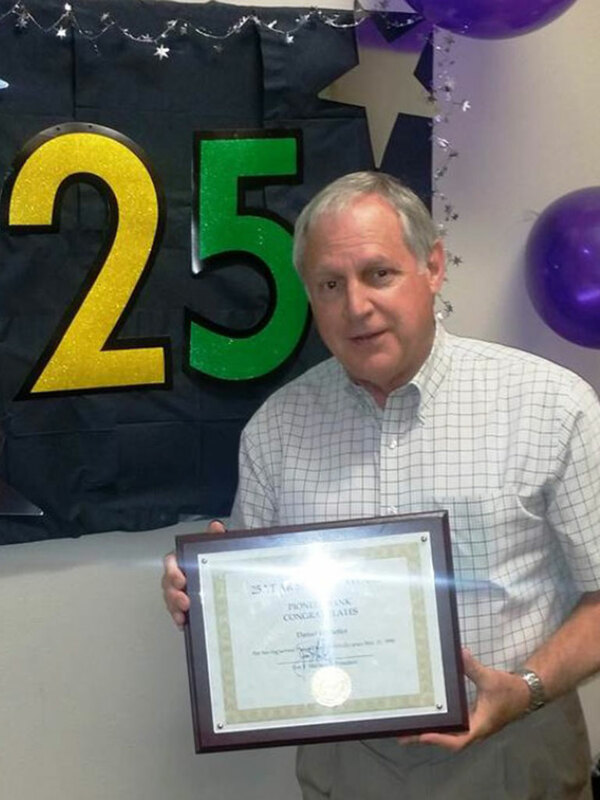 We would like to recognize two employees who recently celebrated 25 years with Pioneer Bank. 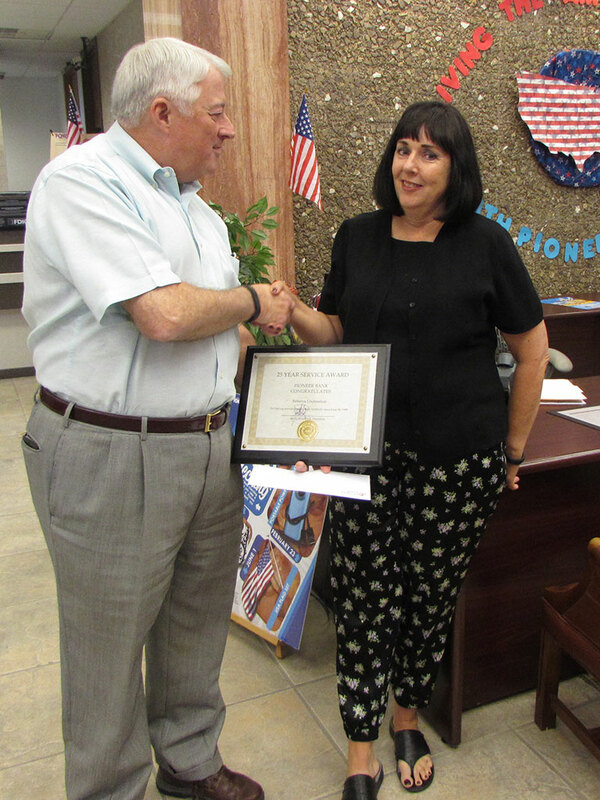 Please join us in congratulating Dan Hostetler of El Paso and Becky Underation of Roswell for all their years of service to our customers. Tags: anniversary, celebrate, congratulations. Bookmark the permalink.